Swami Vivekanand Marg, Ahmedabad, India 380006. 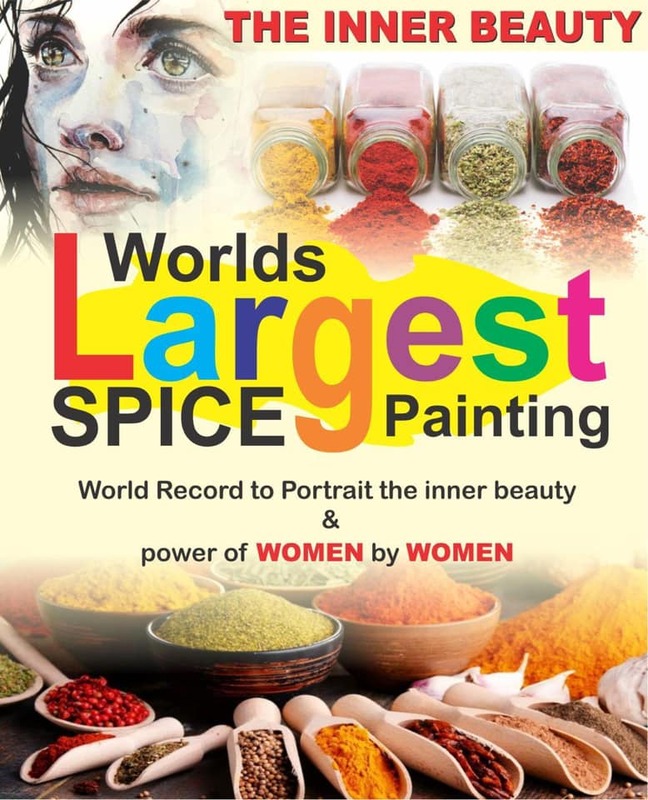 To create world’s largest spice painting (51 sq meter) to break Guinness world record to create awareness towards women empowerment and inner beauty of the women. We going to dedicate this event to our grand ma mrs kokila Ben who is at the age of 69 still a successful business woman an entrepreneur and a roll model for us. My father is a London based artist who is Guinness world record holder for four times, he had organized all those events to raise money for various charities. He is doing such project once in two year to help any charity from past ten years. Now as a daughter of an artist who had been doing such public art projects these many years I am inspired and thought to have my own such art event for my own city back home. however my daddy will be an active member of the team. I am a british citizen and a law student along with my brother dhviral had an first-hand experience of such an events will be the coordinators of this event. Moreover we need four months in advance to apply for any world record in Guinness book which my daddy had already applied and he got application approved for this record. To create all the world record paintings so far, he uses reused materials to keep the cost law or in some records zero. The record which I am proposing will need 50 sq. meter canvas and 20-25 litters of paints, both of them we can arrange reused from various places like paint shops etc. We will create a core team of 10 we’ll known women artists from the city who can spend some quality time, dedication and help through the project. My daddy will happily help and contribute his expertise and time for the same. On the day of event we will encourage local community to take part and contribute towards the charity. We are expecting active participation of hundreds of members of local community. Between 1995-1999 , Creative Campus organized 5 public art awareness projects on the main road of the city ( C G Road ) by creating live paintings of 100 feet to 250 feets as part of its road show to create public awareness towards various burning issues . This involved hundreds of child artists. • so far till now CCIAA has organized more than 25 road shows throughout the world. • Guinness World Record for world’s largest finger painting 2007, measuring 16500 sq ft, at Brent County in partnership with BAPS Swaminarayan, UK. United London was the concept of the project which brought much appreciation from Mayor of Brent, Harshadbhai B. Patel. • Guinness World Record for world’s largest finger painting, measuring 5100 sq ft, in Vancouver, Canada 2003. World peace and universal brotherhood was the concept of the project. The event was attended by the Mayor of Surrey and members from the government of British Columbia. • Guinness world record for world’s largest footprint painting ealing broadway London to raise fund for Japan tsunami. • Guinness world record for world’s largest painging made by mouth at feltham tesco store to raise fund for U K Heart foundation. How are we going to carry out this record? We will target to set a record of 51 sq meter 50×10 meter. We will first compose one small scale painting and then we carry out our real painting on the canavas. We will encourage the local community people, local art students matured artist of city and others to take part into the event.